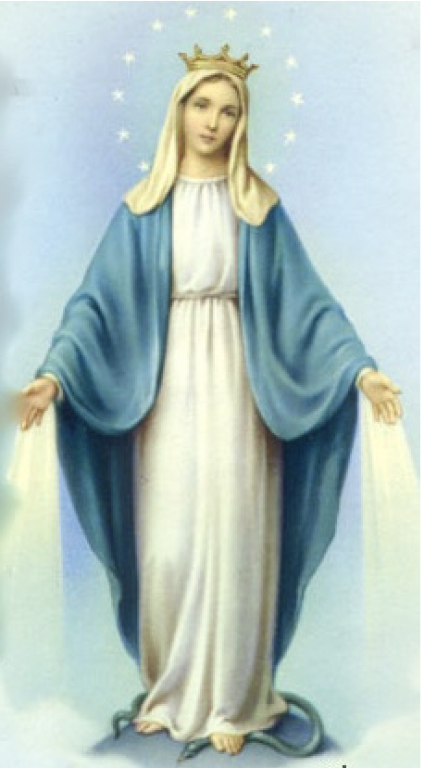 Legion of Mary is a prayer group that has a devotion to our Blessed Mother. The St. Rose presidium, Our Lady of Perpetual Help, was established on September 17 1943. With the Grace of Our Lord and the Help of our Blessed Mother, Our Lady of Perpetual Help, we have served Our Lord and Mother for other seventh-three years. We begin our time together by reciting a Rosary followed by spiritual readings and prayers that help us go out to evangelize through our love and devotion to Our Lord and the Blessed Mother by visiting the sick, teaching catechesis, serving at the food shelf, etc. We meet on Tuesday’s from 5:30p.m. to 6:30 p.m. in the meeting room at St. Rose Church. The Legion of Mary has a three month discerning period. During this time you attend Legions meetings to determine if you want to become a member of the Legions of Mary. If you would like more information please contact Mary Pavlovich @ 624-3726 or Becky Kubat @ 624-5280.